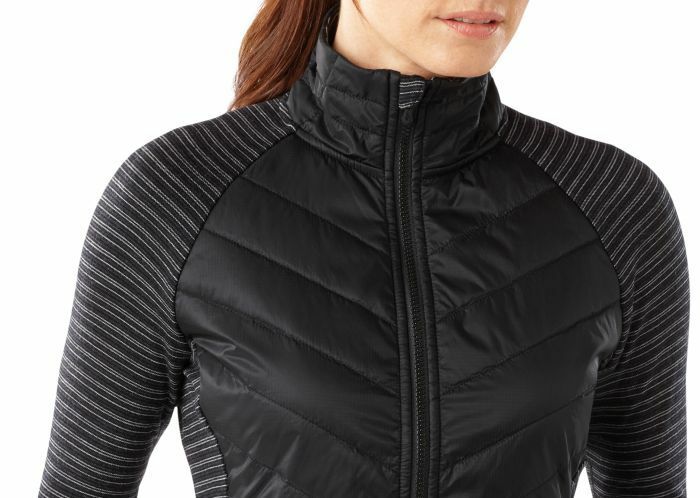 Smartwool says this women’s jacket is intended for high intensity workouts in cool to cold conditions – winter trail running perhaps – although it would work as a light mid-layer on a hike too. The sleeves and back of the top are made from the lightest weight of Smartwool wool insulation (60g), which is breathable and odour resistant, and offers good range of movement. The front of the jacket has a lightly insulated windproof panel, as does the collar, although both are still merino lined for comfort and odour management. There are two large pockets and the zip comes up nice and high at the chin to keep the cold out. Smartwool kit often looks a bit different and this is no exception, with the arms coming in various patterns, although there’s a fairly simple black version too if you don’t like to stand out. A nice, lightweight top. 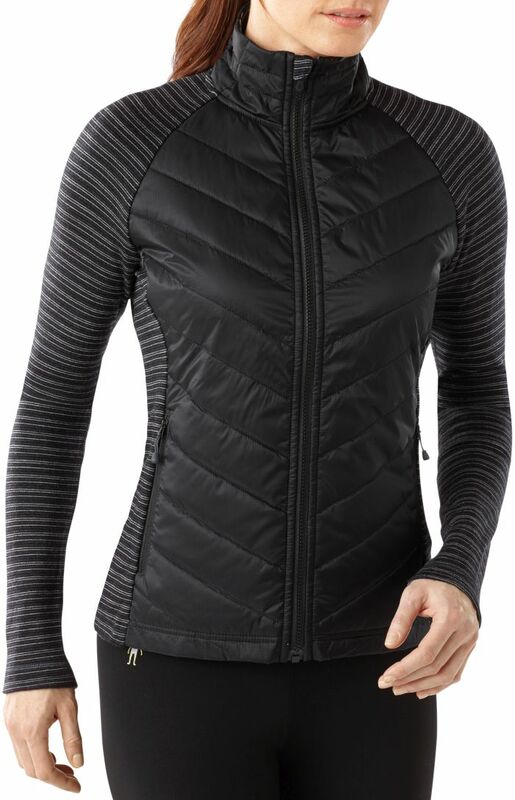 The Smartwool Propulsion 60 Jacket is designed for winter trail running, but is a good lightweight option for hiking.